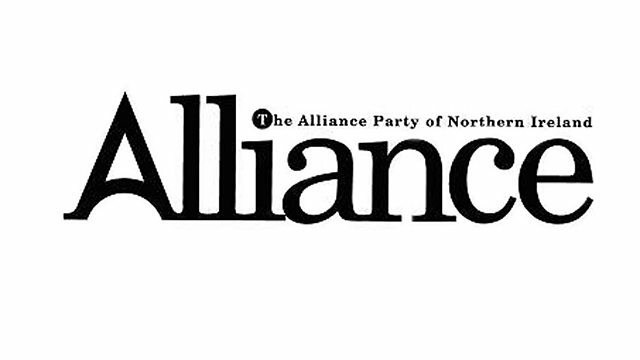 Live coverage of Leader David Ford's speech from the Alliance Party Annual Conference. Browse content similar to 02/03/2013. Check below for episodes and series from the same categories and more! see a political party that parrot houses building a shared future. about this and he said it was not possible to be a Liberal Unionist. considers platform or even a label under which to canvas and Campion. bought one way or the other but it seems to be able to contain both. community and where we need to be. How fragile the rule of law can be. made no progress from reaching agreement about a shared future. apprenticeships come on skills for those with less qualifications? choosing. What of the Unionist parties? What was their motivation? issue as a project, because it was a project to damage the alliance. expertise to get it right. We cannot afford not to get it right. of private discussions the party's only approach had simply failed. could ever forget, what has been happening on the streets recently. united political boys supporting the PSNI as the deal those protests. support the pleas of it means confronting their own supporters. forever have to be designated to turn out whether there us with them. in which sectarianism, fear and threat along only in the past. a dog barking out territory. Up -- at dog marking out his territory. future that will allow us to maximise our economic opportunities. where we will have to build a shared future. -- alliance. will serve to organise and measured the best of our energies and skills. another statement of Hope by President Kennedy's Robert. change, we will lead changed and we will deliver change for the society. better kind of politics. Our politics for everyone. about 31 minutes that he spoke for. That is his wife giving him a hug. nationalist parties have the chance to buy into that kind of approach. shared future. I am there to represent everyone in our community. about the work that the party does and by continuing to show integrity. out then. I ignore or those people and get on with doing my job. keep pushing. Stephen Farry, Naomi Long, banks are much for joining us. difficult time. Mark Devenport got up with them earlier this morning. grateful that her colleagues have been brave enough to hold the line. involved in a gangland murder case and you were under death threats. necessity for her to join us. We do take their regular interest. strategy. Partnership is the big word for David Ford, isn't it?